Held at Northern Bay College every 3rd Month. Held at Norlane Bowls Club on 2nd Tuesday every month at 7.00 pm. The Lions Club would like to Thank all the Businesses and Organisations Below for their fantastic effort in helping our Club collect Blankets for those exeriencing Homelessness. We wish to thank all those in the community that were able to support this project and it is appreciated very much mainly by those sleeping in the cold. It is very satisfying to see all the businesses commit to a very worthy cause. In 2016 we joined with the Barwon South West Homeless Network and created The Road Home Project to increase what we can achieve in supporting those Experiencing Homelessness, this project collects bedding, Jackets, beanies, scarves, socks and Hygiene products. Now it is 2019 and there are more seeking support due to no fault of there own, with your support we will make this even a bigger year, for more information go to the website www.theroadhome.net.au. Any project Ideas or suggestions greatly appreciated. 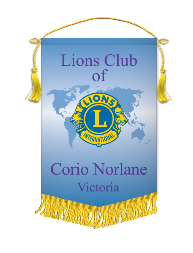 Copyright © 2014, Corio Norlane Lions Club. All Rights Reserved.